← What Times! What Standards! 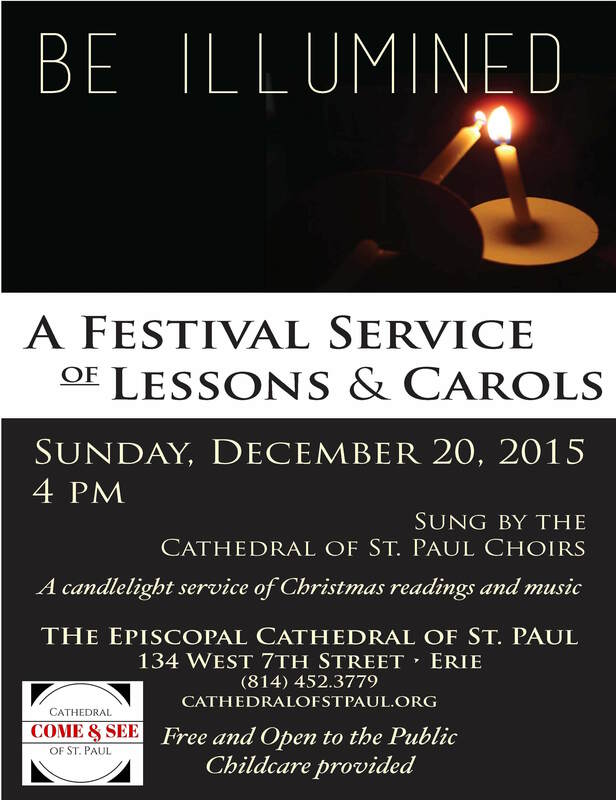 The Cathedral of St. Paul presents a Festival of Lessons and Carols, Sunday December 20th at 4 pm. Sung by the Cathedral of St. Paul Choirs. Free and open to the public. 134 West 7th Street, Erie. This entry was posted in Events and tagged Cathedral, Choir, Free, Lessons & Carols. Bookmark the permalink.